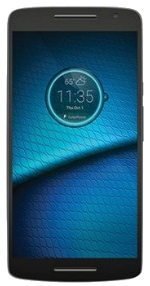 The Motorola DROID Maxx 2 follows the footsteps of its predecessor, the DROID Maxx. This year’s model comes with a 5.5-inch display with a 1080x1920 resolution and 402ppi index. 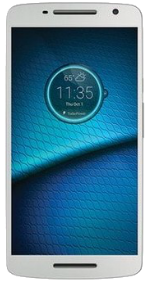 It is powered by a 1.7GHz Octa-Core Qualcomm Snapdragon 615 processor with 2GB of RAM and the Adreno 405 GPU. There is a built-in memory of 16GB available in the phone and a microSD card slot to expand the memory by up to 128GB. The device comes with a 21MP rear-facing camera with 1080p HD video recording and a secondary camera in front of the device with a 5MP sensor. There is a non-removable 3630mAh Li-Ion battery included on the back of the phone. Upon unboxing, the phone runs on Android 5.1 Lollipop OS. The DROID Maxx 2 is splash resistant. The new DROID Maxx 2 is the second DROID that was announced alongside the Turbo 2.